2327 Morris Ave #2B, Birmingham, AL.| MLS# 812477 | Richard Jacks UABLIVING.com 205-910-2297 | Birmingham AL Real Estate | Contact us to request more information about our Homes for Sale in the Birmingham AL area. 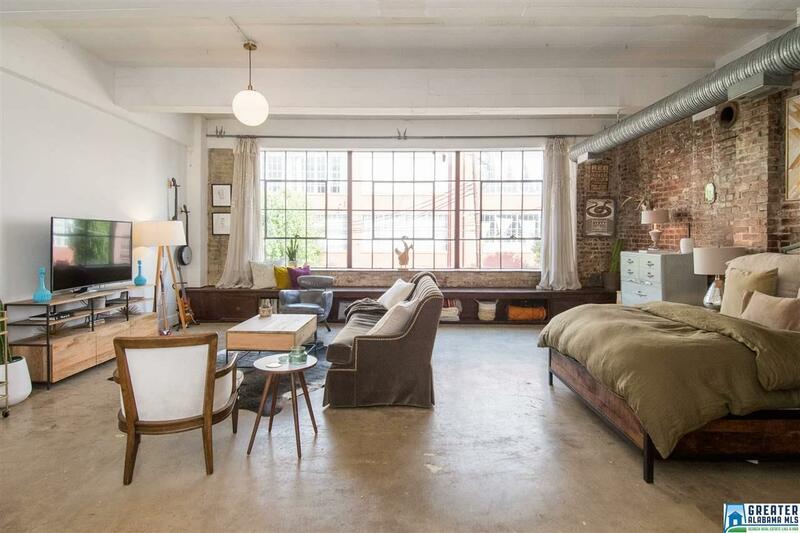 This spacious loft with polished concrete flooring, exposed brick and high ceiling is true loft living at its best. The gourmet kitchen boasts granite counter tops, high-end stainless appliances and generous custom cabinet space. Pass through a walk-in closet with built-in shelving and laundry area to an enviable bathroom. Fresh air can be enjoyed from encasement windows overlooking Morris Avenue or the rooftop deck with a spectacular 360 degree view. Driving Directions: From 1st Ave N, Turn Right Onto 23rd Ave N And Then Left Onto Morris Ave. Morris House Will Be On The Right. Coming From Carrigan&apos;s, Morris House Will Be On The Left.